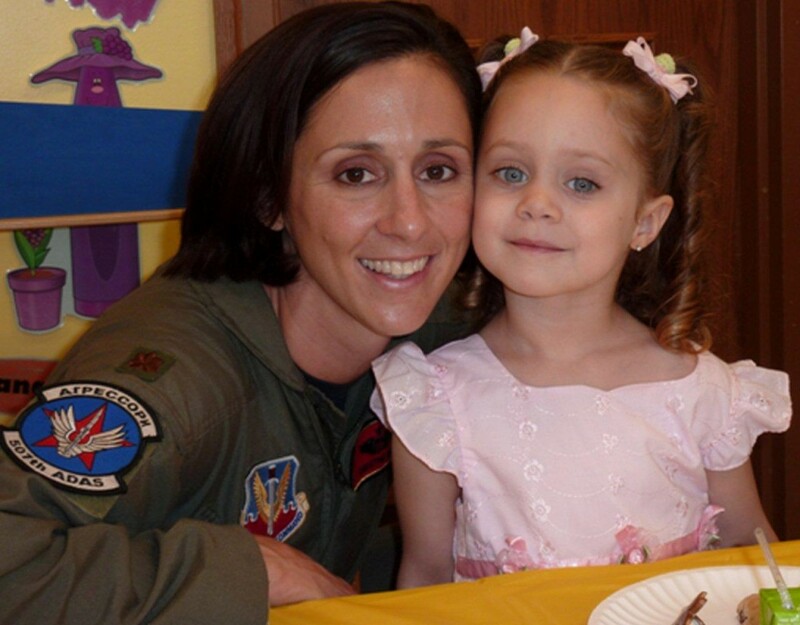 The Air Force has changed over the past fifty years in how some of its pilots spend their off-duty time at home. 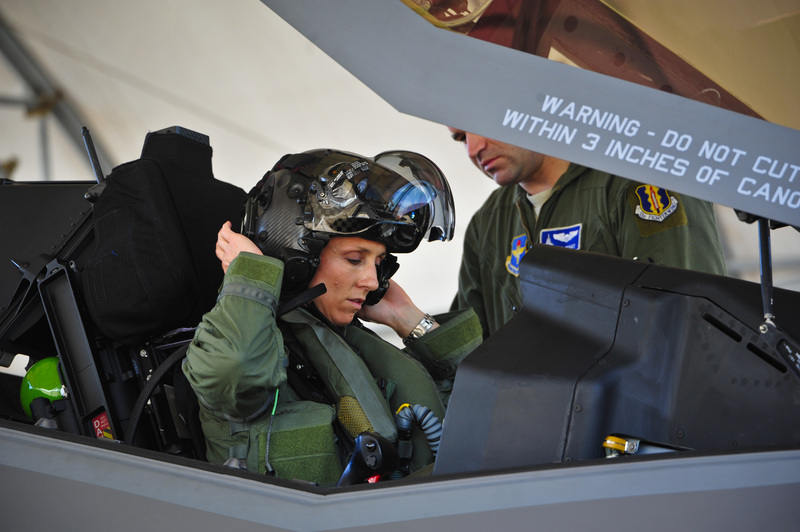 The USAF has just announced that its first highly trained and combat experienced female jet pilot has begun her training in the most advanced Air Force 5th generation Stealth Fighter, the F-35 Lightning II at Eglin AFB, in Florida. 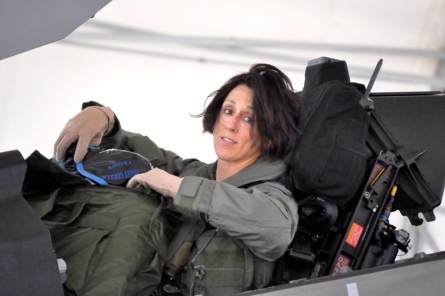 Lt. Col. Christine Mau, the 33rd Fighter Wing Operations Group deputy commander, has just completed her intitial training flight in the single-seat fifth-generation fighter following 14 virtual training missions in the full mission simulator at the F-35 Academic Training Center. 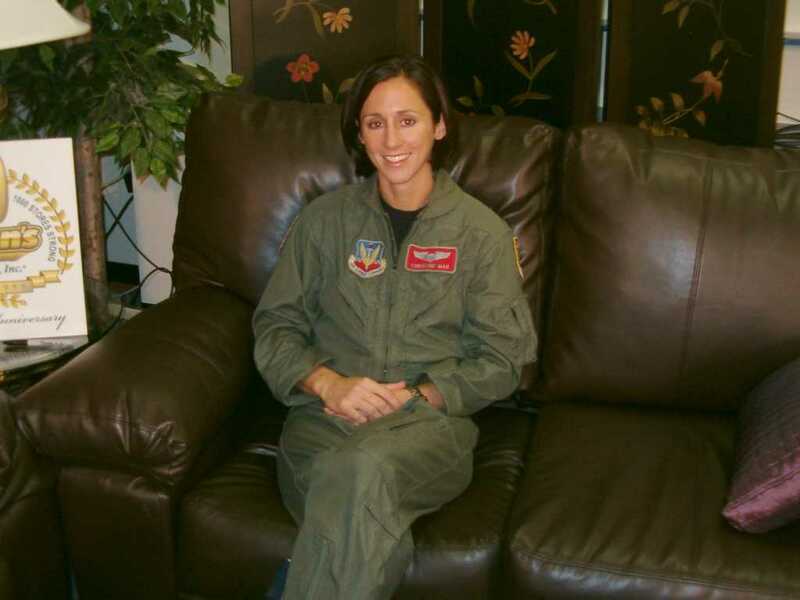 Immediately following her record setting first Lightning II flight, Colonel Mau relaxes for moment before exiting the cockpit of the nation’s first line advanced stealth fighter. 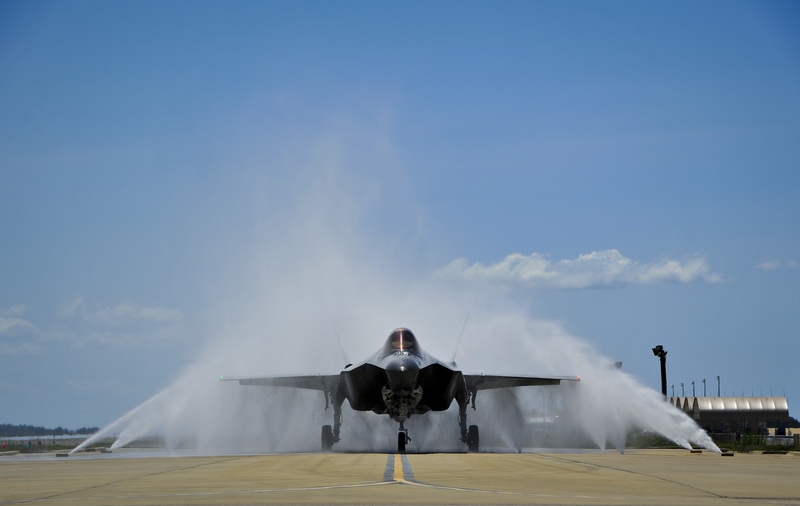 And with that, like the other 87 F-35A pilots trained over the last four years, Mau thundered down the runway and was airborne as the first woman in the Air Force’s premier fighter. 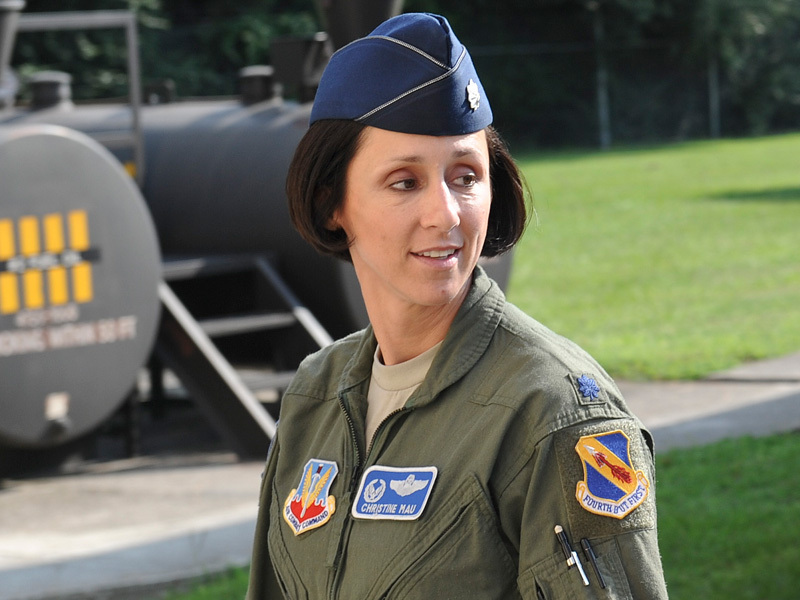 Mau while being interviewed on TV Channel 10 in North Carolina, where she was based before entering training at Eglin AFB in Florida for the F-35 strike fighter program. 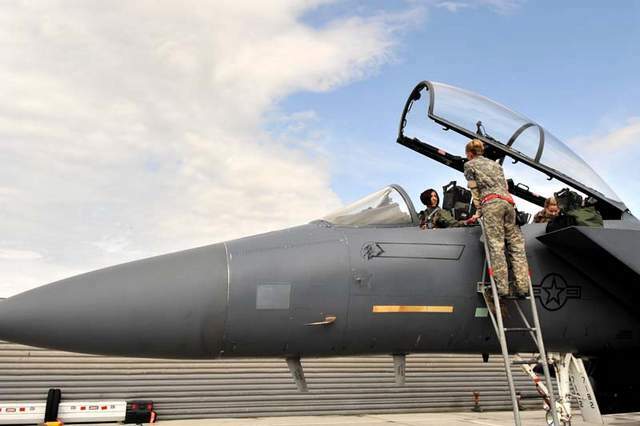 This entry was posted in AVIATION NEWS on May 7, 2015 by FASFRIC. It is great being on your list Ric. I have enjoyed everything you have posted so far . Thanks. Great to have an appreciative viewership!